Sunday afternoon, dentists from across the region helped bring smiles to faces during an annual day of giving back. Bright Now! Dental's Day of Giving on Sunday, Jan. 27, brought together volunteers to provide free dental services to low-income and under-insured people. The day was filled with exams, cleanings, fillings, extractions, X-rays and oral cancer screenings for the 100 patients who attended. "This is all about helping people," said Dr. Jeff Pearson, professional corporation president of BrightNow! Dental's Oregon and Southwest Washington region. "We are blessed and lucky enough to have the skills to help out." The event was held at Bright Now! Dental's Gresham office at 443 N.W. Burnside Road. It was made possible through a partnership with Smiles for Everyone Foundation and other local groups who referred the patients. This was the first time Gresham has hosted one of the Days of Giving, which happen all across the country. "We work with several groups to find anyone needing dental care," Pearson said. "We take care of their immediate pain, and then schedule follow ups." Six doctors, three hygienists and support staff came together from the Bright Now! 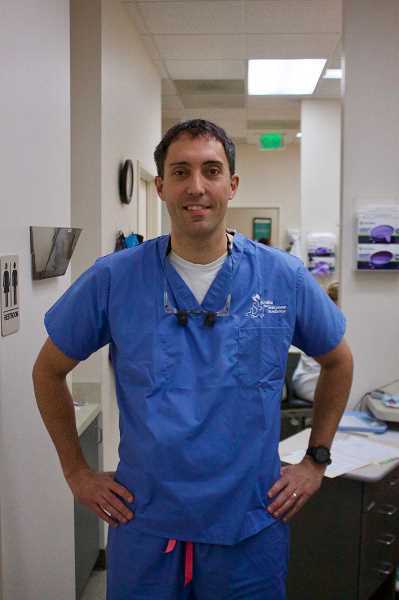 Dental offices both in and beyond the Gresham-Portland area. One case involved a patient with a tooth broken all the way to the root, while another had been fighting a tooth infection for two decades. The patients get a year of dental insurance through the event, and many of them scheduled follow up appointments. "We helped fix one guy who had two abscessed teeth," Pearson said. "We were able to provide relief in just 20 minutes."